MCU will participate in the international TIMSS assessment of Moscow students scheduled for spring 2019. TIMSS or Trends in International Mathematics and Science Study is a large-scale assessment of mathematics and science knowledge of students around the world. The assessment has been conducted once in four years since 1995 among the students of the 4th and 8th grades who come from a diverse set of educational backgrounds in terms of education systems, economic development, geographical location, language, culture, religion, etc. TIMSS is the initiative of the IEA — International Association for the Evaluation of Educational Achievement — independent international cooperative of national research institutions and government agencies that has been conducting studies of cross-national achievement since 1959. The survey is designed to measure and interpret differences in national education systems in order to help improve the teaching and learning of mathematics and science worldwide. Besides the knowledge assessment, the contextual data about the conditions in which students learn mathematics and science is collected from the students, their teachers, principals, and parents via questionnaires. To ensure valid comparisons of student achievement across the globe, a special quality assurance program has been developed engaging International Quality Control Monitors (IQCM). MCU team headed by the specialist of the International Relations Department Nataliya Ageeva, will be responsible for quality control in Moscow schools, ensuring the implementation of standardized procedures during the survey. In order to explain the standardized guidelines for excellent quality control, the IEA provided an international training seminar for IQCMs of the Nothern hemisphere representing 62 countries, from Canada to Japan. 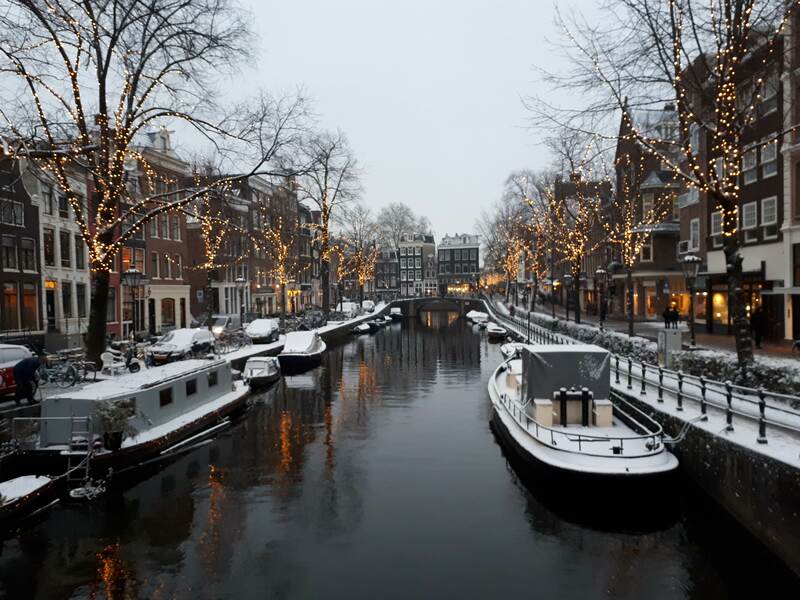 The 2-day training was held in Amsterdam, the European headquaters of the IEA. The monitors had an opportunity to meet their colleagues and peers from many countries and discuss various educational issues. The IQCMs represent the nations featuring a great variety of education systems, for example schools with separate education for boys and girls, religious and private schools, etc. Regardless of such differences, the IQCMs have to follow a common procedure to ensure that the data collected in each country will be comparable to the greatest possible extent. 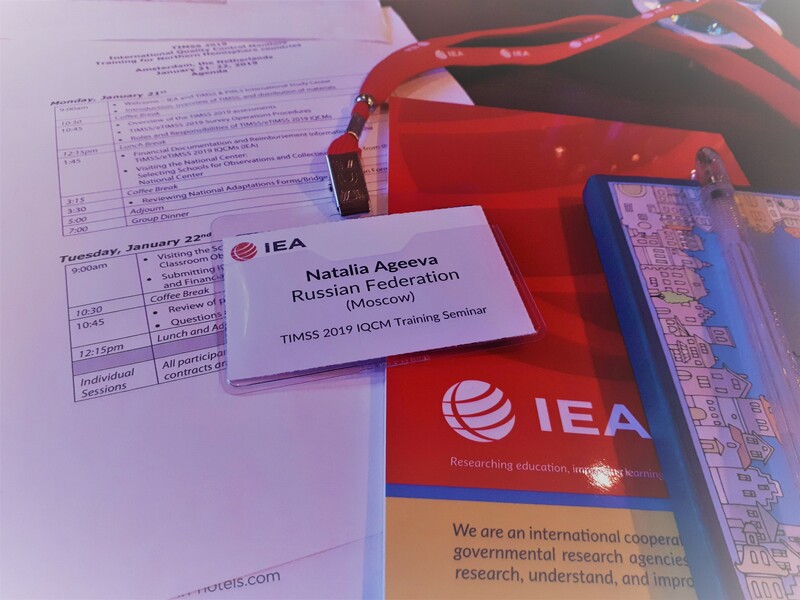 Locally, TIMSS is arranged by the IEA together with the national research centers, represented in Moscow by the Moscow Center for Education Quality. Cooperation of different educational institutions at all levels enables to undertake such a large-scale accessment for the 7th time, providing participating countries with the data to chart the progress of their education systems over a 24-year period.